We’ve all been to parks or hiking trails or fields and immediately had those disc golf lines appear before our eyes. We’ve all stared down a line of trees and thought, “That would be a really fun fairway to play.” Maybe you’ve even been lucky enough to set up a few safari holes or played a round of pirate golf in those areas. But chances are you’ve never thrown a disc across raging rapids, or down 200 feet of sheer cliff side. Unless, of course, you’ve played in the Steady Ed Safari, held at Ausable Chasm in the far north of New York State. Sponsored by DGA, the Steady Ed Safari wrapped up its sophomore outing on September 21. 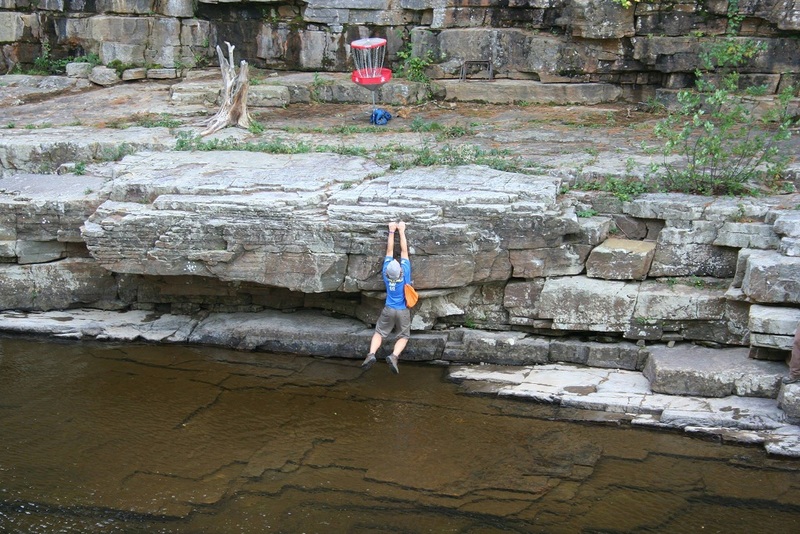 More of an event than a tournament, Ausable Chasm provides a full weekend of disc golf, camping, and hiking tours through the chasm proper, if you choose to stay. The property also boasts a permanent 18-hole (soon to be 27) course, named Campgrounds, which is used for some casual glow golf on the night prior to the main event and also for one of the tournament rounds. The other tournament round, however, is the main reason for attending. The crew at Ausable Chasm builds a Frankenstein of an 18-hole safari course up and down and over the chasm itself. Some baskets involve a 10-minute hike down the cliffs to take your second shot. Others require a raft to ferry you across the rapids to reach your lie. And one hole makes use of a vacant boathouse that contains the basket at the end of a challenging par 5. Does that sound like an interesting round of golf to you? It should.